African States have continuously been blamed for disregarding communities’ opinions when engaging with corporations especially in the Extractives Industry. This denies these communities the right to information and consent in relation to the various projects. Against this background, civil society organisations from across the African continent have called upon governments and businesses operating in Africa to respect and implement court rulings in favor of communities’ rights, following high rates of on non-compliance concerns to court rulings raised by communities across the continent. 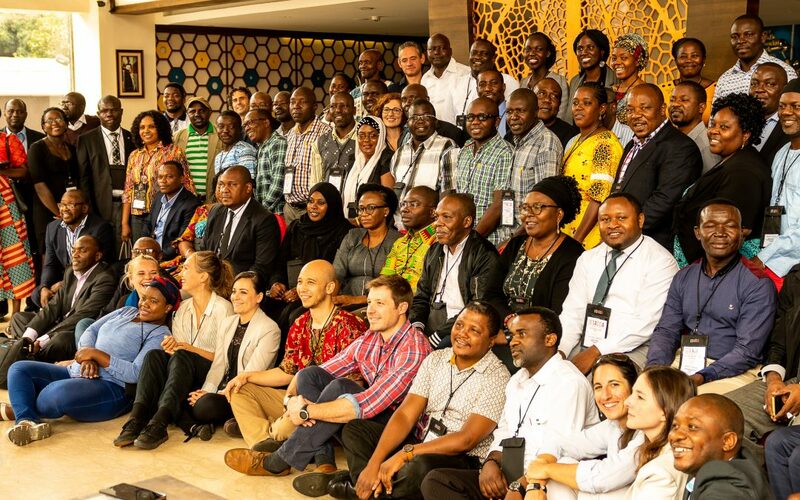 The organisations spoke during the African Coalition for Corporate Accountability (ACCA) General Assembly (GA) held in Nairobi, Kenya between 10th and 11th October 2018, hosted in partnership with the Natural Resources Alliance of Kenya (KeNRA). Dubbed Free Prior and Informed Consent (FPIC), the GA brought together representatives from various Civil society Organisations from across the continent that support African communities and individuals whose human rights are adversely impacted daily by the activities of corporations, both multi-national and domestic. Setting the Agenda for the ACCA GA, Raya Ahmed from the Save Lamu Community, Kenya and Hanna Owusu-Koratgeng from Wassa Association Of Communities Affected by Mining (WACAM), Ghana highlighted the everyday challenges with which communities are faced in relation to mining activities , establishment of development projects and their rights to FPIC. According to Raya, the High Court of Kenya issued a judgment on 30th April 2018, declaring that the planning and construction of the Lamu Port violated the rights of Lamu residents. The ruling affirmed and upheld the rights of Kenyan citizens to a clean and healthy environment, and meaningful public participation in the planning process of development projects that directly affected them. Despite the grievances raised by the Lamu community on lack of public participation, lack of environmental assessment and management plans, and failure to take into account traditional fishing rights and the right to protection of the Lamu cultural heritage, Raya says the ruling of the High Court has not halted the Lamu Port Project, and construction of the project continues. The plight of the Lamu community is just one of the many documented and undocumented stories of community rights neglect across Africa. During the two day deliberations, the representatives who formed part of the 117 member organisations of ACCA from 31 African countries noted that FPIC is different from just consultation, hence the need to deepen it’s understanding at the grassroots. It was realized that in most cases it is non-indigenous people who give consent to extraction activities, leaving out the opinions of indigenous people who always bear the brunt of extraction activities and projects gone wrong. The need to link FPIC to access to information was also highlighted noting that there would be no FPIC without provision of information. Emphasizing the importance of FPIC to communities, Damian Oakes the Coordinator, Development and Communications for ACCA and Mwambi Mwikamba, the country coordinator natural resources alliance of Kenya (KeNRA) say the advancement of FPIC across the African continent is a vital element in strengthening community rights and community participation in development projects, which directly impact communities’ daily lives and livelihoods. The lack of implementation of FPIC at the community level leads to the absence of community participation in development projects. Going forward the organisations proposed the need to engage governments to make FPIC mandatory because as at now it is voluntary and not well captured in African laws. The ACCA members would be required to report annually in future general assemblies on the steps they have made in regards to FPIC. The use of simpler informational tools for easy understanding at the grassroots to create more synergy was emphasized. We consolidate and coordinate community efforts in advocating for policies that promotes equitable access, control & sustainable use of Natural Resources in Kenya.